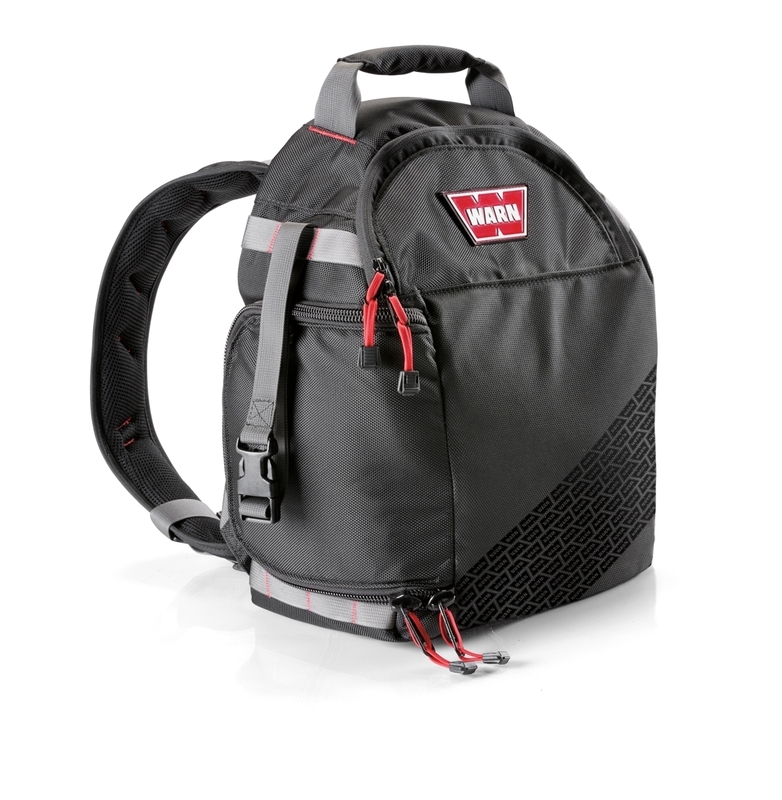 The WARN Epic backpack is the backbone of the medium and large Epic recovery kit, is sold separate from the kits. It is made completely of ballistic, water-resistant material for outstanding durability and reliability. Designed to carry all of your gear, it comes equipped with removable modular interior compartments that can be customized for a variety of gear and includes rigging instructions printed on the inside of the backflip. The outside has a MOLLE system and D-rings for attaching extra gear and has an exterior pocket for electronic devices. Adjustable chest straps, contoured shoulder straps with padded/breathable fabric and a multi-padded back design helps make this one of the most comfortable backpacks you will ever own. Finally, nylon straps allow you to turn your backpack into a winch line damper. Bag sold individually, all recovery gear sold separatly.